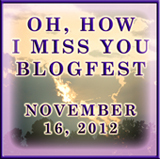 Thanks to everyone who signed up for the I Miss You Blogfest on November 16! Ciara Knight’s final book in the Battle for Souls series is now out - Ascension of Evil. Congratulations, Ciara! Siv Maria’s short story was accepted for the anthology, OPEN DOORS-Fractured Fairy Tales and she revealed the cover this week! White Cat Magazine is introducing a mystery magazine soon! Plus they have science fiction and fantasy magazines in the works. Good stuff, Rick! Next Wednesday is Budd’s Scare Me Blogfest – just in time for Halloween! Rachel Morgan has just released An A to Z of Creepy Hollow Fae. Those of you who’ve enjoyed her series will want to pick this one up! And for those of you who read my guest post earlier this week, Jamie posted the answers to my music-movie questions at Mithril Wisdom. Yes, the next generation of iPad will be available soon! It’s twice as fast as the iPad 3, with improvements to camera, Wi-Fi, and LTE. While games and graphics won’t be noticeably faster, if you live in a city with LTE access, the Internet will be much faster. This is the tablet Apple wanted to release last spring but it wasn’t ready. It also brings the iPad up to speed with the latest iPhone. Two reasons for this topic! Due to the high volume of requests I receive, guest posts are reserved for my regular blogger buddies ONLY. (Most of whom are listed in my sidebar.) Other followers I will mention in a Ninja News update. The controversy? I’m really sorry if that offends anyone! But my blogger buddies are the ones who visit and support me (and I them) on a regular basis, and since I only post eleven to thirteen times a month, they deserve first consideration. I am more than happy to do a shout-out in the Ninja News for anyone else. Second reason – my calendar is full through February right now. (I still have one opening in January.) So, if any of my blogger buddies have a book coming out next spring or want to do a guest post at that time, please contact me soon! Any questions? Am I being unfair? Do you need to contact me really soon?! 2 – The category of Best Makeup began in 1981 and was won by this film. 3 – Who did the music for Dario Argento’s Suspiria? 4 – What actor has been in almost every single Sam Raimi film? 5 – What horror/thriller won five of the biggest Oscars in 1991? Are you ready for the upcoming blogfests? Excited about the new releases? Getting an iPad 4? Are my guest post guidelines clear and fair? Care to share your guidelines? And do you know any of today’s trivia? I'm always excited by blogfests. And I wish I was getting the iPad. As for your guidelines, they are more than fair and I don't say that just because I'm a blogging buddy who's guest posted. This is a community where we support each other. You gotta give to receive & you are THE most generous giver out there. But it isn't free. Frankly, I don't know why that wound be a problem for someone. No one likes to be used. I don't have guidelines myself. No omens ever asked me if they could guest post. That must be reserved for you super stars! Typos! That's what I get for commenting on my iPhone at 1am. I don't think you're being unfair at all! I think people who get even a brief mention anywhere on your blog should be stoked with that. That's a lotta blogfests! Going to check 'em out now. I've not been tempted by the iPad or copycats. And once again I'm drawing a total blank on the quiz. I think your guidelines seem very fair, Alex so don't worry. Wish I could answer some of your trivia questions but I am rubbish at it! I usually learn something through others so that's good. Those trivia questions are in the too hard basket for me. I shall let someone else try their luck with those. There is just so much happening next week! We will be busy! Jamie, Werewolf in London?, Goblin, Bruce and Lambs. and bravo on the stand on guest bloggers, it's funny how many folks email me and i am a nobody... you on the other hand are a ninja of power when it comes to pointing out some of your friends/favorites. congrats to all the upcoming blogfest and book releases..
An IPad in every room? DO you know how scary that sounds? LOL! Thanks for the great info and for the shout out. I think your guidelines sound reasonable and the fact that you worry about not helping out everyone who asks shows what a big heart you have. A person can only do so much and you do more than your fair share. I have no guidlines, because no one has never asked....LOL! Have a great week-end! Fay Wray for the Scream Queen and please don't anyone say "who?!?!"! LOL!! Couldn't figure out the quiz questions...good ones! There's nothing wrong with your guidelines. Maybe you can send Sir Poops and Hair Ball back their interview questions. They would love to have you. Perfect guidelines! But how cool is it that everyone wants to be on your blog? Good for you, Alex - it's definitely a fine feather in your generous cap. I'm guessing Silence of the Lambs for the Academy Award question and maybe Jamie Lee Curtis for the first one but can't even guess on the others. I am curious about Best Makeup for sure... must go google it now. Julie, very good! Got two. Nancy, thanks, but you are a superstar now as well! Annalisa, there's a big one in December - you'll hear about it soon. Jeremy, all but the fourth! And I bet you do get a lot of requests. Siv you're welcome, and thank you. Kitty, not the right answer, but I do know who she is! Thanks Cathy and you got those two right. I think your guest posting guidelines are more than fair. And the only trivia question answer I know is Silence of the Lambs. You know, I've never seen that movie all the way through. I just like watching the Oscars. I love reading your Ninja news. Go Rachel, Siv & Ciara! I'm looking forward to Tim's blogfest. I wish I was better at the trivia. Damn. Heading over to mithril's now. Ted?... i thought it was an easy Bruce answer. maybe i can do spotlight post for some big wampa fee... hmmmm it would sure knock down the request. Ipad 4, really. I just got my iPad 3 a couple of months ago. What do you think of the mini? Surprise. I don't know any of the trivia. I'm getting some kind of tablet next spring, but I'm not sure yesterday. I don't see why anyone should complain about your guidelines -- it is Your blog, and You get to decide who you want to feature! Oh man, these are tough. My mind has been so preoccupied with work, switching to movie mode is welcome, but it's a bit like turning gears that are rusty and corroded. Kim Basinger. If she isn't, she should be. Danny Elfman. Or John Williams. Or Howard Shore. They write everything. Bruce Campbell. I know that one! Lots of fun blogfests coming up! Awesome new releases too. Your guidelines are very fair. I'm surprised you aren't booked up through next summer! Sad but true, I haven't watched a horror movie yet in keeping with the Halloween spirit. Too busy writing! Well, I guess that's not sad! :) Have a great weekend. It's your blog and should be your rules. That's my feeling anyway. I love the IPads but I love guitars more. :)I hope you'll post a picture when you get it? I'm not sure that qualifies as a controversy, Alex! LOL. I let two strangers guest blog recently, just to see how it would go, and it went pretty much as expected: meh. I can't understand why there is any controversy over your rules, which are very generous anyway. It's your blog to do with as you wish and people need to respect that. It seems very simple to me! I think the only trivia question I can answer is #5. Silence of the Lambs, right? Have a great weekend. Watch out for Frankenstorm. No clue of the trivia questions. Thank goodness I never had an inkling to try out for Jeopardy. I'd bomb. Your outlines are perfect. You're an amazing blogger and no one will fault you for setting standards to keep your sanity. Holy crow Alex, NO ONE does more for other bloggers than you do. If someone thinks you are being unfair, although you are willing to give anybody a shout out, well too stinking bad! Looking forward to the Blog Hop. Hope you have a great weekend. MJ, that made me laugh! Jeremy, now you have it! And maybe you should charge a fee? Sydney, I think the mini will have its place. Laura, yes, and I need to adopt that battle cry! Madeline, you got the first one right. Rick, you got the last one right. And someone else has been in more Raimi films than Bruce - believe it or not. Teresa, I will post a photo! Julie, thanks, and you are correct. LG, that made me laugh! Trivia/schmivia - I'm absolutely no good at that stuff. Who says you have to let anyone 'guest post on your blog anyway? I think your guidelines are more than fair. I shocked that some people just contact a blogger and say 'hey, let me hijack your space for a day.' Are you kidding me? Crud, didn't know the answers to the movie trivia. I am obviously not the person you want on your Trivial Pursuit team lol!!! This is your blog. Alex Cavanaugh. So I'd have to say any issue taken with your guidelines may be due to a bit of extra sensitivity than necessary. I say that because you designate guest posts, but you do not close off the option of getting a shout out. You do your best and that is all anyone could or should expect of you. So do I think your guidelines unfair? NO. Hi, Alex! There are some interesting blogfests coming up. Since I've already been doing a zombie invasion on my blog all month, I didn't sign up for the Monstrous Monday Blogfest or the Scare Me Blogfest. 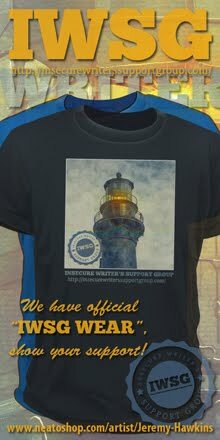 I will be sure to check out some of the blogs that did sign up to participate. I think your guest post guidelines are fair. 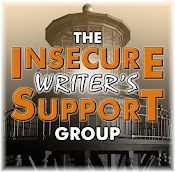 You are a great supporter of your fellow blogging buddies. As for the trivia questions, Is Jamie Lee Curtis known as "The Scream Queen?" I'm so excited! I know one of the answers to the trivia questions! Or at least I think I do. The actor that has ben in almost every single Sam Raimi film is his brother, Ted Raimi . . .or it's Bruce Campbell. I'm kind of ready for the upcoming blogfests, I'm excited for the new releases, and I think I need to contact you for a blog guest post, and I think the rules are clear. Plenty of people have said it in the comments. Unfair? Heck no. This is your blog, and you're probably the most supportive and fair blogger buddy in the world. You go above and beyond, all the time. You set the rules on your blog. That's how it normally works with EVERY blogger. You are more than fair. i-Pad 4? Already? Geez, these guys work fast! A guitar-in-every-room idea is great. White Cat Magazine is really starting to hit their stride. Coming out with all kinds of great ideas. I know what you mean about the Ipad. I have a Imac and a Mac notebook, but dang if I didn't have to buy a new vacuum cleaner yesterday. But it is very kewl, very high-tech. I may even vacuum today! Those guest post rules are fair. I'm guessing Sam's brother, Ted, appears in most of his films. Sorta like how Clint is in all of Ron Howard's films. I LOVE White Cat and am looking forward to their Sci-Fi mag. That will be something I'll definitely submit to. Not being into horror movies can't answer your questions although I did see Silence of the Lambs. Friend who is a computer whiz and works with computers etc. etc. has switched to the Microsoft version - not sure what its called, he seems to prefer it. I don't even have one, let alone one in every room, so have no idea. I know one! I know one! And I'm skipping all the other comments so I'm not cheating. The Scream Queen is Jamie Lee Curtis who starred in the original Halloween (among other horror flicks). Your guest post guidelines fit well with the nature of your blog. I tend to seek out bloggers and others to guest post that my readers might not be familiar with. This tactic is probably not all that successful in that the comments are sometimes lower on those posts, but I like to give lesser-knowns a chance to guest post and sometimes the guest just fits in well with a topic that interests me. Like you, my blogger buddies are a high priority for guest posting. There are some people who will find offense when few others would. It is just their nature. It it, after all, your blog. Would you insist on YOUR rules if you visited the home of a stranger? Guidelines are very fair, you have o prioritize to make your schedule work otherwise you couldn't do all the ninja awesome stuff you do. I think I'm going to wait for a major upgrade in tablet technology before shelling out the big bucks. And I think I'm going to wander through you list of bloggers on the sidebar. :) Have a great Friday Alex. I like Scare Me Blogfest, yes, I think I will participate. Jaybird, that made me laugh!! Joylene, as long as you are excited about that new vacuum! Roland, that is a good point. Melissa, you got three. (Fourth one was close.) And looking forward to your email. Okay, I'm totally guessing here but is #2 Rocky Horror Picture Show? I'm not even looking up dates or anything -- completely pulling this out of a hat so I'll be happy to be right and laugh at myself if I'm way off! Have a super weekend, Al. Thanks for the shout out. At least one of your rooms needs the microsoft surface. The iPad mini was quite a disappointment. on to the trivia. 4. Bruce Campbell-Drag me to Hell being the exception. I wonder how long you spend coming up with these trivia! I bet googling the answers would be easy, but come on! I do know (I think) the answer to the last, though I was only 8 years old in 1991 - The Silence of the Lambs. I would not have thought that this would be a controversy. It makes sense to me. As the blog owner, you have a right to set up blog content however you want to Alex. You clearly state your guidelines. I can't see how it would offend anyone. Unless, sorry, no can do offends. Hmm, NO does offend my son mightily,but he's a teen,with a teen's mentality, lolol! I can't blame you AT ALL for that policy--really makes a ton of sense. You are a popular guy and you have to draw the line in SOME direction, and that seems the most logical and fair. You do good stuff! And thanks for the reminder... my book comes in May, so I will drop you an email! I'm getting my post ready for Monstrous Monday. It's gonna be fun! Also, your guest guidelines are perfectly reasonable. You already have an iPad, yes? Go for the guitar. 3. It was one name, but I just can't remember it. Nope...not coming to me. You said scream queen and all I could think about was the character from Indiana Jones, who, when you are playing as her in the Lego Indiana Jones, you have to make her scream to break glass and get stuff. What? I just referenced a movie AND a video game in a comment on your blog. I might achieve cool yet. I don't think you're being unfair. Alex, are you gonna go see "Cloud Atlas" today? Roger Ebert's review is out and he gives it his highest rating of four stars (I'm surprised you didn't mention it in the Ninja News)! November is so full of blog fests. I checked my schedule and the first Wednesday I'm actually doing two. One is the IWSG and another is the Resurrection blog fest by Mina Lobo. Kind of craaazy. Leovi, I bet you could take a really scary photo. Suze, are you ready to laugh? Budd, you got three of them. Someone is in more of Sam's movies than Bruce. Juliana, you are correct. And this trivia bit took a while. Hart, let me know! I'd fit you in no matter what though. Joshua, I have three of them. I have more guitars, but one can never have too many. And you got three right. I think your guidelines for guest posts is fair. You are so generous, Alex. I can't see how anyone would complain! Oh dear, blog fests. Not that I am complaining, I do enjoy them, I wonder if I can squeeze any in. I think your guidelines are fair. You are busy, and you have a lot of followers, things are likely to get crazy for you. And nope...I know none of the trivia. I don't have any of the I-technology. Shoot since the new cell tower across the road I'm lucky for the few bars now and the couple of hours a day I do have a pretty good signal. :/ Congrats to those with books coming soon! I'm lost on the trivia. :/ Anyway have a great and safe weekend! I don't have an iPad, though my parents do. As a 4-year-old first going to a computer store and using OS 1 on the 128K, I couldn't have dreamt something like an iPad might be invented in my lifetime. That was the stuff of science fiction. I'm pretty sure my family's first Mac was the 152, not the 128. We've been with Apple through so many products they've invented over the years. Your guest post views are absolutely reasonable. I would love to get an iPad in the near future. Can totally relate to your guest post policy. I get a lot of requests for guest posts & interviews and now that I'm getting more booked like you, have to look at them carefully and say no if they're not right for our blog and interesting to our followers. I still agonize over most decisions because I hate saying no but want to keep my blogging under control. Michael, Cloud Atlas just doesn't excite me. Carrie-Anne, it's the stuff of Star Trek. Considering that guest posting isn't something covered under the Constitution, I'd say that you probably get to make up your own rules. Like, um, requiring that the guest poster deliver unto you a... shrubbery! I had something else I was going to say, but Monty Python stepped on it. I think you made fair guidelines. You are definitely on top of things. Yes, Alex, you are more than fair with your guest post guidelines. And you give back to this great online writing community so you're always doing your part. It's just how can WE give back to YOU. You do so much for me that it feels like I need to send you a thank you card with a present. So many blogfests, so little time! I hope I can join a few. I have NO idea on any of your trivia! Your blog, your rules, Alex! Do whatever works best for you. If I had a site as popular as yours and featured guest posts regularly, I'd prioritize my regular blog buddies as well. Have a great weekend!! It's sounds fair enough to me. I mean..that's called loyality. The cool thing is I found my blog on your sidebar. Your Guest Post guidelines seem fair to me. I'm tentative about doing them, as I've had warm and cold reactions. Lately, I've only done them if asked. Readers are funny, and some only want to read the blog owner's posts. Some blog owners are better at introducing the guest post, and referencing others (like you-Alex, Lee and Roland). More guitars? Sounds better to me than an IPAD in each room. Too many 'toys'. B-I-L collects Fender guitars. My sis spoils him. Guidelines are fair and I agree, wait for iPad 5. Your policy for guest posters makes perfect sense. Besides, you can have whatever policy you want! YOUR BLOG. Btw, Byron and Athee just got into the Cosbolt to approach the enemy ship and I have to go to the store!!!! So why am I blogging? Well, I had to check my bank balance and say hi to my best buddies. Have a great weekend. We're having YellowBoy's 13th birthday party tonight...I'm also cleaning like crazy. I don't know why anyone would complain about your guidelines. Those are great trivia questions. I think I know a few answers, but that's only because I read through some of your comments. Alex, I can't believe anyone thinks your guest post guidelines are controversial or unclear. I think you're quite fair about it, but that's just me. I totally understand your guest post policy! Sorry if you've gotten flak for it. Livia, just keep believing in yourself - that's what you can do for me. Julie, that's what I intend to do. Cindy, of course you are there! DG, Lee and Roland do it well. And that's not spoiled - collecting guitars is a necessity! Tina, you're pausing at a tense spot! Hope your son enjoys his party. And you did know one answer. We all have our lines in the sand to draw, our limits to know, our boundaries to establish. And we can't possibly expect everyone to like those boundaries. Those who understand will do so. Those who can't, well then that's their burden to bear. I just started Creepy Hollow 1 and I love it! Thanks for letting me know about the A-Z Guide! I can't keep up with all these iPad and iPhone updates. I'll hold onto my devices until they slow down or break. I'll be read for Monstrous Monday and the Scare Me Blogfest. I like the idea of a guitar in every room. Very cool! And no, you're not being unfair with your guest post rules. It's your show, you run it how you like! As long as your guidelines are clear and consistent, which they are, then they are fair. You must get tons of requests every week. The trivia questions are great. Fun to use horror films this time of year. Can't wait to read the answers. As usual I don't know any of the trivia answers - does that mean I'm too trivial or not trivial enough? You are my blogging hero, Alex! I don't know how you keep up the momentum to reach out to so many people every day, but I for one truly appreciate your efforts. Have a wonderful weekend, my friend! That sounds pretty much fare. I know about the iPad4, and I thought just the same: I'll wait for the iPad5. Was Jamie Lee the scream queen? She's awesome. I have to revise my guest policies, too. It's your blog. You're allowed to make rules. That's really fair. Ouch! I'm really late today. I know NONE of the trivia answers. As long as you're willing to do shout-outs for people, that's fair! You can't accommodate everyone with guest posts, after all. I think the only reason of releasing iPad 4 was the new lighting port. The Apple wanted to say every of they new device has the same port. 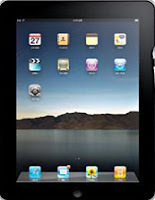 The other improvements are not a big deal, but the iPad3 buyers maybe angry with the early release of iPad4. However the iPad Mini is great, but the pricing can be much wallet-friendly. You know, you have to do what you have to do. I have seen this blog expand in leaps and bounds! To do all that you do takes a lot of time and effort and I for one thank you for it. I'm grateful to be a part of your blog and couldn't ask for better support. You've been there since my beginning and that is all I could ever hope for. Ciara is so prolific, I'm struggling just to keep up on reading her lovely (and steampunk) works. And as for your blog -- I'm grateful for what all the news you pass on, and I'm really impressed with how serious and good a blogger you are, Alex m' dear. On the downside, I will never come close to winning your movie trivia questions. I think your guidelines are more than fair. I've been contacted by total strangers a few times, but I'm not comfortable hosting people I don't know well! It would be awesome to get an iPad. Signed up for the 'Oh, how I miss you blogfest.' Thanks for dropping in on mine. I think your guidelines are fair. You're a high-profile blogger; naturally you can't host everyone who requests a guest post. An iPad? Very probably not, but it does sound like a useful device. My friend, you are an ambassador for the ideals of the blogging community that I am a firm believer in. As many have stated, your guidelines are fair. You can only do so much. I know that Penny the Jack Russell dog and modest internet star, upgraded thanks to her guest posting on your site, to superstar status, is grateful for such pawsitive, I mean, positive interaction. Oh my, what a run on sentence. Stephen King would be proud of me! Thanks for all your tireless endeavours to bring awareness to others via all your links. Have a good weekend to you and all our blogging buddies. Congratulations to Ciara, Siv, and Rachel! A scare blogfest? I'm not the horror type hehehe :) And I don't think I'll be going for the new iPad either -- they'll come out with a new new one eventually. Your guest blogger guidelines are completely fair and sadly, I don't know any of the trivia answers but I would guess Bill Murray on #4. Interesting how certain directors like certain actors/actresses. Wow, what a busy guy. Congratulations on all the success. I like your guest post guidelines and since I just received a Kindle ereader it will probably be years before I get an iPad. No, I don't think I know any of that trivia except maybe the scream queen was the Bride of Young Frankenstein, Madeline Kahn? Hope you n' yours ride out the storm! I'm more near the coast. I just hope it moves quickly! Really, you have to remind people to say thank you? I knew Jamie Lee was the scream queen. Have a great weekend Alex. Ink, sounds like you need one. Patsy, that means you're not a movie geek! Jay, you know where to come when your book is out! Zoltan, wish I could help you with that. And you're right - they just wanted to catch up to the new iPhone. Gary, and I was very happy to host Penny here. She is now a superstar! Carrie, and I got your email. Lisa, I'm ready for the rain. Desert, no - but good guess. Ella, you are correct. A guitar-shaped iPad would be awesome. Hope the storm goes out to sea for you. We'll only get rain here. Your guest post rules are quite fair and BTW...it is YOUR blog so you get to make the rules!! Bummer, I know none of your trivia answers...good news...I'll have to come back to find them out!! I think you were fair, Alex. I can't answer any of those questions in the movie trivia! Makes me realise how little I know. Is it Neve Campbell for the first question? without looking it up, what is the movie with jack nicholson in the hotel...is that the 1991 oscar winner. never saw it, not a huge horror fan, but i'm gonna take a shot. Your discernment with hosting guest posts seems wise, Alex. I imagine that was a hard line to draw but also much -needed. I'm sure everyone, including myself, appreciates all you do for the community. i'm not sure how i knew Jamie Lee Curtis was the scream queen. i never watch horror movies. amazing and strange the things you can pick up from the atmosphere. it's your blog and you make the rules. just like it's my house and i make the rules. if i don't want to answer the phone or the door while i'm here, i don't. I have missed about the blogfest on Nov: 16th what is it about? Have just had my second shot in my shoulder and am starting therapy on my neck. Tammy, sorry! Come back Monday for the answers. Julie, my blogger buddies come first. Michelle! Good to hear from you. And you are correct. Yvonne, hope you'll feel better soon. Click on the link and it will take you to Monday's post about the blogfest. I'd pick the guitar over the iPad any day of the week and twice on Sunday! What model baby are you looking to get? I'm still on my faithful iPad first gen. I'll probably hang on to this one a little while longer because I just bought the iPhone 5 and can't justify giving Apple that much money in the same three month period ;) 5'll be out before we now it, though...and then I'll be a 10 in Apple's eyes :D! I think your guidelines are perfectly fair, especially with the amount of blogging you do and the amount of bloggers you connect with. There are only so many days in a month. Anyone who complains, well blogging isn't an organisation that has to be fair to anyone anyone, anyway. Your blog is just that. Yours. And I love how inclusive you are with everyone. Gosh, I could never write as extensive posts as you do Alex! Your priority is a new guitar. My wife and I want to buy a special sewing machine. Those guidelines are perfectly clear, Alex. I commend you for building up such a formidable blog presence that you are in such high demand. I don't plan to get the new Ipad. I like my Ipad3 just fine. I want to go to Greece next summer, so my moo-lah is being saved for that! Your blog, your rules = no controversy. Disagreement is unprofessional. An iPad is on my wish list, any version! Randi, 5 will be out in less than a year. We can wait. And I have several models I'm eyeing - when I select one, I'll post photos. Sabrina, that sounds like a better investment. Rachel, you're welcome. The iPad 4 is the one they wanted to release last spring but we're ready. They should've just waited. The only answer I know is Jamie Lee Curtis. But I'm interested to hear the answer to the last one! you are just too popular! a mention on your blog was a big boost for our blogfest! thank you for participating!!! but thanks again for always thinking of others, like your blogfests do! looking forward to that! If I see Santa anytime soon I'll put in a good word for you on that iPad. (I'm still loving my Android tablet though.) If anyone deserves a new iPad for Christmas, it's you! And I'm here waiting for the iPhone5. I'll sign up for the I Miss You blogfest. And I have no clues whatsoever on the trivias Alex. 5 - Silence of the Lambs (creepiest movie EVER). You stumped me with 2 and 3. I hate that. That doesn't seem controversial to me. And regardless, I say your blog, your rules. You're the king - you make the rules. If people don't like it, tough. And there's a new ipad? Damn, I just bought one. All power to you, Alex - you are a force for good on this here interweb. Hi Alex .. you got guest posting right - and well done for bringing the subject up - your blog is your blog ..
Rachel, you are correct. And I know - there aren't enough days in the year for everyone. Tara, happy to participate in and mention your blogfest. Oceangirl, glad you've joined us for the blogfest. SL, you got two of those! Magnificent Ipad 4, is a shame, in my city internet is very very very slow. The beauty of having our blogs is that we get to run them in the manner in which works best for us. Guidelines seem fair especially when you have limited posts. You definitely get to decide how you spend your time, and what you put on YOUR blog. So nothing about your policy offends me! Ninjary one, I've got an award for you over on my blog. My hubby is lusting after some gadget that starts with an i. He goes through these long discussions where he does all the talking and lists all the great things they do. Then he finishes up by saying, "but I don't really have a use for it." I have a feeling the iGadget is stating to win anyway. Wanda, I only have so many. Elana, thanks, and you are always welcome here! Patsy, I saw that - thank you. Susan, it would be great though! Lexa, you got the last one right. Brinda, that is very true! Yes - guidelines are completely fair! And I'm excited for the trivia answers - good questions! Thank you so much for the mention, Alex! I'm sorry I'm so late to the party. I've been offline excluding Coyote Con this weekend. 1. Jaime Lee Curtis (but I figure my daughter will catch up to her soon - she has a phenomenal horror movie scream). 4. I'm going to guess Bruce Campbell just because I know they're friends. 5. Silence of the Lambs? Oh man, I wish my blog was as popular as your to the point where I had to turn down guest posts. Anyone who is willing to do work for me is more than welcome to. I don't think it's unfair at all. This is your blog and you have the right to control the content. Your blog, after all, is a reflection of you. I am very selective about who I allow to post on my blog. I recently took down my page that invited guest posts. Most requests were from people I don't know - in some ways I don't mind if it's a good post. It is nice to meet new people this way. However, it can be a lot of requests to field, and I simply don't have the time to devote to it now (other than for friends I know will write good content, like you:). Of all the responses to my guest post page, only one person followed my guidelines. Ciara, you're welcome and no worries! Shannon, you got two right. Karen, I hope I was one who followed your guidelines!! Wow, I'm pretty jazzed to see that I'm listed in your sidebar, Alex. I don't know how you keep up doing so many guest posts, but I would LOVE to have you guest post on my blog sometime. This is your call and could be whenever you'd like. I would love to hear some of your favorite childhood memories. I'd love for you to do a guest post about Alex the kid. Things you got in trouble for? Awards or contests you won. Your favorite childhood game. Sport? Did you play guitar as a kid? If you don't want to do this kind of post, no worries. I would only want you to do it if it's fun for you. I think our blogger buddies would enjoy it! Take care. You made the right call. It shows character and that says a lot.